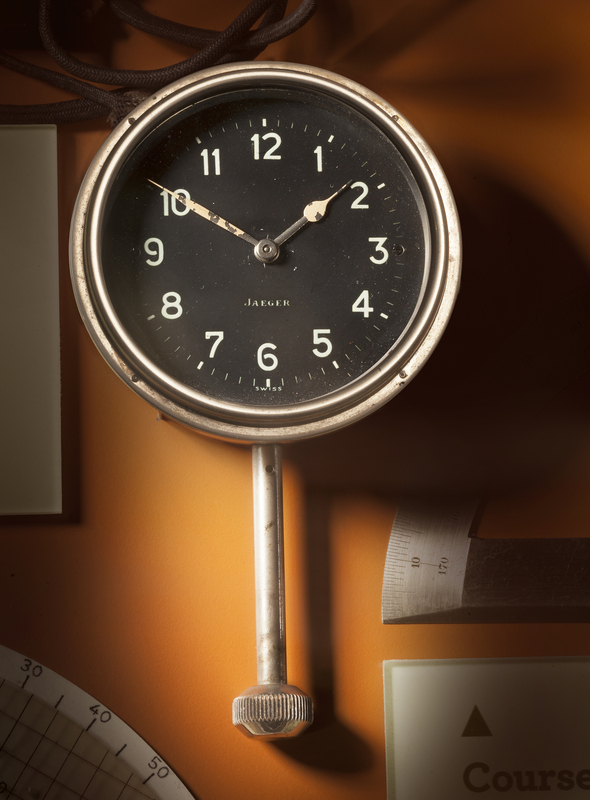 Used on board NC-4, this timepiece was crucial for navigation. Photo by Eric Long, Smithsonian National Air and Space Museum (NASM 2014-04350). Find out more about Swiss 8-Day Clock.